We are pleased to announce the release of the new Wide Field of View Video Microscope Unit (Wide-FOV VMU). 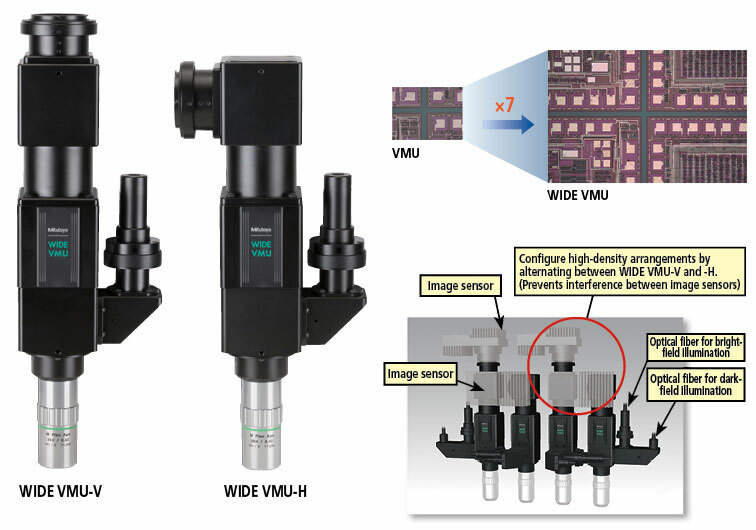 The Wide-FOV VMU can be integrated into custom equipment easily, while supporting Mitutoyo’s Finescope Objectives. Horizontal and vertical models help avoid wide-FOV camera interference, when combining two or VMUs. This exciting new optical unit further establishes Mitutoyo as an industry leader in the Microscopy field. For more detailed information including part numbers, download a pdf file of the New Product Announcement for Wide-FOV VMU.